Fredericks & Freiser is proud to announce John Wesley Important Works from 1961 to 1966. This exhibition examines Wesley's progression from his early heraldic paintings to cartoon figuration charged with memory and emotion. In his early works, John Wesley's prints were deadpan depictions of stamps, badges, shields, and emblems that imbue the mundane with personal and political meaning. Though formally linked to minimalism due to the essentiality and compositional rigor of Wesley's production, these paintings were celebrated by everyone from Donald Judd to Lucy Lippard as an important addition to Pop Art. However, Wesley’s direction was towards a more idiosyncratic narrative structure. 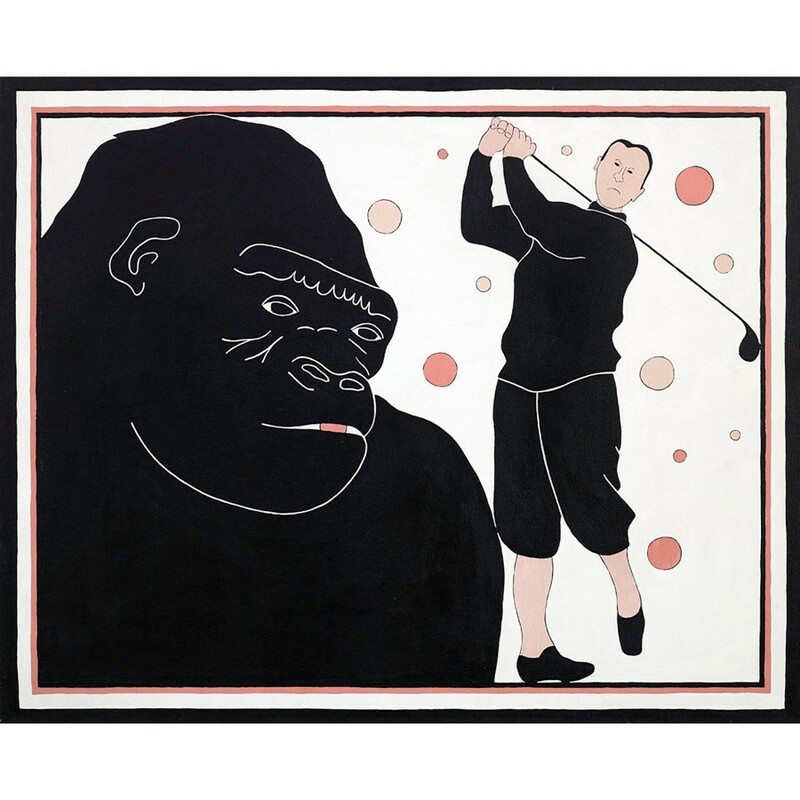 Unlike his initial works in which popular iconography, particularly symbols of Americana, are used to critique a country that adorns itself with the quotidian, Wesley’s more narrative work appropriates traditional Pop subject matter such as Sunday comics and pin-up erotica. As seen together, the works collected for this exhibition underscore Wesley’s preeminence as a visionary artist whose often hermetic paintings strike at the psychological core of our most primal fears, joys, and desires.